The main coven and founders come from a range of traditions and coven backgrounds including, Traditional Witchcraft, Wicca, Druidry and Shamanism, all of whom were keen to practice their craft by getting back to basics, developing their connection with the earth, with deity with the ancestors and nature and by being in the woods and wild places. Regular rituals are held at Sabbats and esbats in addition to weekly coven meetings and a development circle. Rituals are generally held outdoors, at night, in woodland in order to embrace the powers of the natural world and the elements. The festivals take place on the actual date on which they fall, these being celebratory rituals following Blackthorn’s interpretation of the mythos of the turning of the year. Esbats are used as times for magical working such as spell crafting, healing or devotional rituals and take place at the full, new or dark moon as appropriate. The Elderthorn tradition is an instinctive and experiential way of witchcraft which stresses the importance of connecting with local natural sites, with deities of our land and spirits of the earth and how to link to that flow of life, to the tides of life and to the that vast web of connections. All is linked to the turning of the year, the elements and to the development of a group mind to empower rituals and magical workings. Coven members come from a wide area around the North West UK covering Cheshire, Tameside, Manchester and Derbyshire and from a wide variety of backgrounds and experience. Thanks for your enquiry. We don’t do interviews as we have found from experience that we are usually misquoted and a spin is put on whatever we say! Also we like to keep ourselves to ourselves as much as possible and practise our craft in secret, we have found this is the best way for us. Hi Gabbi, It’s good to see someone so young interested in the craft and I hope you continue to follow it up. I’m sorry but we don’t take anyone under the age of 25 into our group, you may find others that take over 18s. We have developed a way of joining the coven which takes quite a long time and requires a lot of commitment so, no, we do not accept anyone unless we are sure they are right for us and we are right for them. If you could send me some information on where I should start that would be great. Hello, I have an enquiry regarding your age restriction, since the age of 16 I have been a solitary eclectic witch but wishing I could join a coven… The problem is I don’t own a car so travelling far regularly is not an option. Your coven is closest but I am 20, and I was just wondering the reason behind the high age restriction. If it is a matter of maturity I can assure you I am highly dedicated to everything I do and I don’t want to settle for a fluffy teen group… Four years and seven months is a long time to wait to be able to join such an established reputable coven. Hi Tina, thanks for your message. I’m sorry but we never make any exceptions to our age restriction. One of the reasons is that the average age of the coven is well over 40 and it would be very hard to integrate a younger person into the group, both for them and for us. hi i have a deep interest in officially becoming a witch or a warlock, i have always had a feeling or sense of something within me needing to be nurterd…my soul is and always has been with nature , spirit realm and outside the herd. your coven is close and caught my attention , is there a process/initiation to join ? is there a way to determine wether i am white or black ? i feel torn between the two although i feel my nature is dark. We don’t make anyone an ‘official’ witch or warlock, sorry. Neither do we use the term ‘warlock’, a male witch is just that, a male witch. As far as we are concerned we don’t use black and white or dark and light, we work with nature which has aspects of both. There is a long process involved before anyone joins the group and we would need to know a lot more about you. hi thank you for answering to my curiosity , especially the point about nature and the balance of both light and dark . i later learnt after messaging you the true meaning of the word warlock. how would i go about the group getting to know more about me ? Hi woundering how i can meet uo or join a coven. Would be great to get in touch. Based in manchester. I’m wondering if you might be able to help me? My name is Emma and I am working on a project for the History channel where we are looking to feature a rang of antique items, one of the areas we would love to find out more about is the history of witchcraft. I know from previous posts you have mentioned you don’t do interviews and like to stay private, I just wondered if you might be able to point me in the right directions of anyone else I could contact who might be able to help? If you could let me know that would be great please email on emma@Castinghouse.co.uk. I would like to begin my journey with the Craft of magic. I am 27 which i know Maybe late to start. However i am now in the right head space for it. I would like to join a coven to learn, be tought and around others who can be free to be their true self. I łook forward to hearing from you. Massive interest in this, would love to meet and chat to a local witch. LOL! Go to a few of your local Pagan Moots and you’re bound to meet one or two . Hi very interested in this way of life nature the elements and a sense of being at one with the earth and learning how to achieve this. Hi Dave, not sure about your next step, I guess that’s up to you. We’re not taking anyone into the group at the moment. Hope you find what you’re hoping for out there. I read that you don’t take anyone in under the age of 25, and I happen to be 23. So that might be a problem for me. I would like to try and persuade you all otherwise though. If I do happen to fail, maybe I could persuade at least one of you to take the time to meet me, and I shall explain why. I could start from the very beginning but I don’t see that there is any need to. So I shall start with my most recent experiences. A couple of months ago, I had an experience with a plant, I would describe it as a shamanic experience. A healing method arose in my mind that I had heard previously, that being Plant Spirit Healing. So that night I had to look for a book on it and got a full body resonation to a particular one. A couple of weeks after I set off to Thailand. On a Yoga Retreat I attended there was a small library. I was looking through the volumes and one book seriously got my attention, which was called ‘The Spiral Dance’ by Starhawk. Unfortunately I didn’t get far that into it because I had to hand it back in, and I am now waiting patiently for my own copy to arrive in the post. I’ve had many more experiences, all related to nature and the universe, all experiences I would much prefer to speak about in person, as I get so much more from face to face contact. 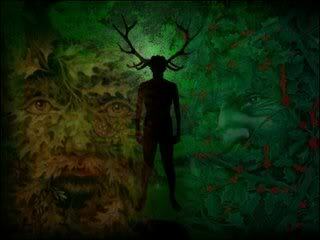 I am being lead towards Shamanism and Witchcraft. I would love the opportunity to be apart of a coven. However, I am still studying at University, so I can see how this might be a problem as I also read that you only take on people who can be really devoted. I can assure you that I would be fully devoted in my heart, but I cannot say how much time I could give. Whatever the outcome is, I would be incredibly grateful if I got the chance to meet any of you. I would love nothing more but to hear of other’s experiences in person, and to learn. As I’m sure you all know, a lot of people don’t take very kindly to mystical experiences, so it would be lovely to meet people who do take to this kindly. Hi, I am intrested in training you offer and further development and guidance. I would appreciate details with your upcoming events, would love to meet you all. Sorry Anna, we have finished our annual meet ups for new members. The next time we are opening will be late 2018. It is about to be the start of 2018. I am 36 & I am a solitary witch so far. I asked for something and later found this page online. You have my email from the form and I would be glad if I was to hear from you. Hi Victoria, I reckon it takes a degree of patience to await a reply. I’m. Waiting also. I’m going to do my own thing eventually. Hi, I’m amanda and interested in joining your coven. I’m a new witch seeking guidance and support. I’m 38 and live in the Stockport area. I am interested in your path and society. 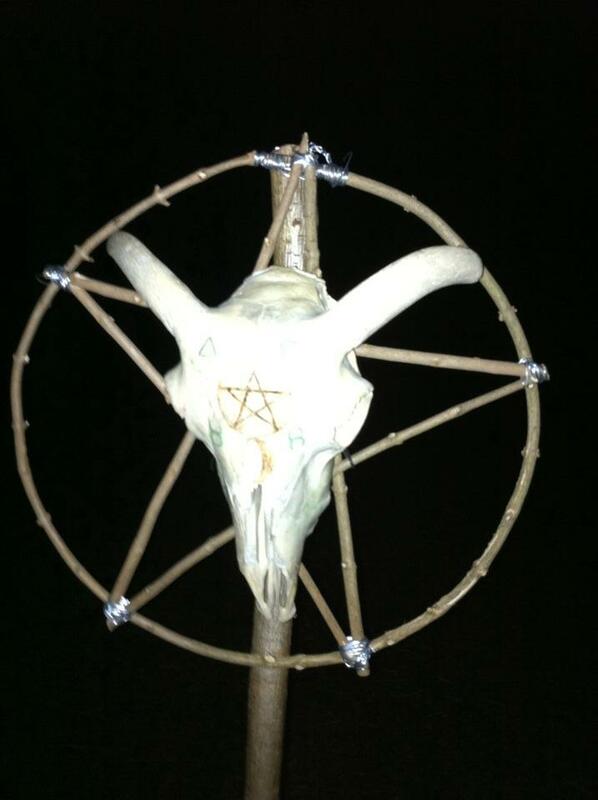 I am still utilising the cabbala(tree of life chacras) and wishing to further my development within wicca and paganism. I have followed certain paths throughout my life and now wish to meet with like minds. I live in the tameside area (stalybridge). I am very interested in finding out more about you with a view to potentially joining. I have been interested in Wicca for a number of years and have considered starting my own coven. However, I am now working in Oldham (living in Cumbria) where I believe there may be more people of like mind. I am extremely keen on studying Wiccan & joining a coven. Please could you advise me on whom to contact.